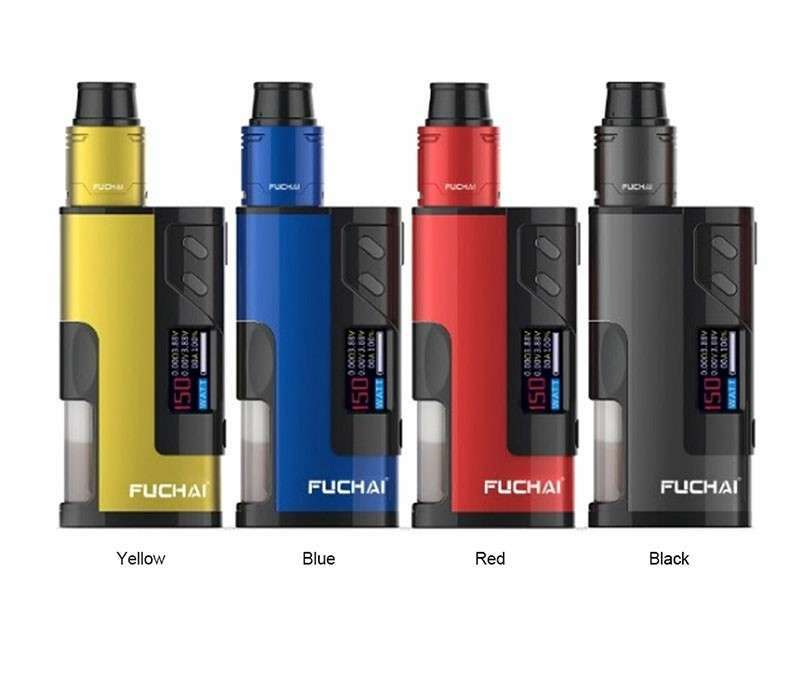 The Sigelei Fuchai Squonk 213 Kit comes with dual fire buttons, replaceable rubber ring, volt adjust mode and a unique square design. It is powered by a single battery and can accept 21700, 20700 or 18650 batteries. 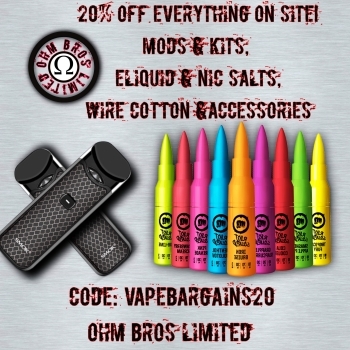 It can power up to 150 watts with a 20700 battery. 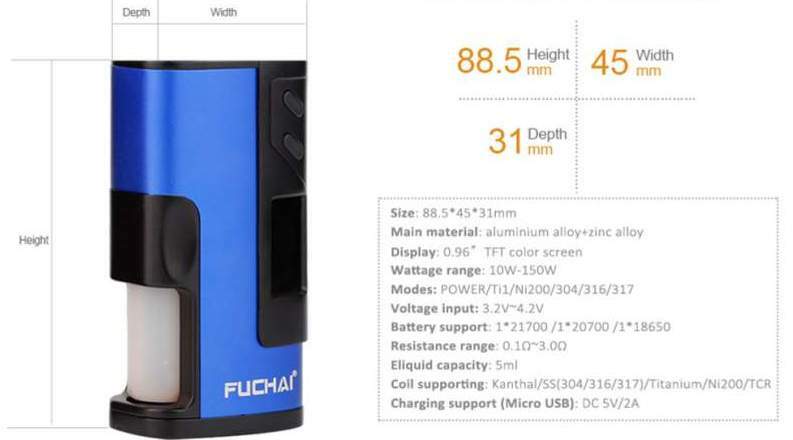 The Sigelei Fuchai Squonk 213 150w Kit comes with dual fire buttons, replaceable rubber ring, volt adjust mode and a unique square design. It is powered by a single battery and can accept 21700, 20700 or 18650 batteries. 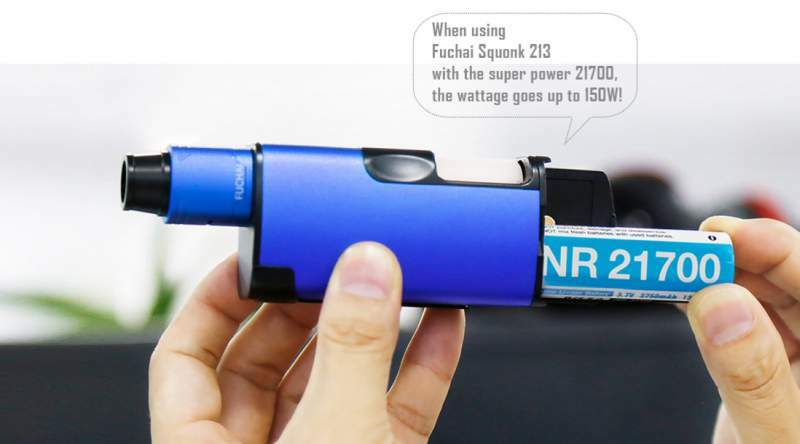 It can power up to 150 watts with a 20700 battery.